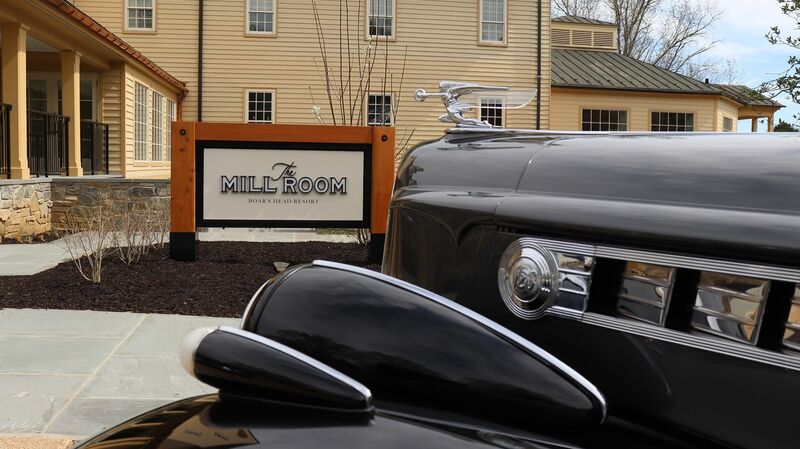 The Mill Room is now fully reimagined and has reestablished itself as the go-to destination in Charlottesville. Reserve a table online or call: (434) 972-2230. If you're looking for a midweek stay package with a wonderful dinner option, look no further. Enjoy a cozy room and elegant Mill Room dinner. 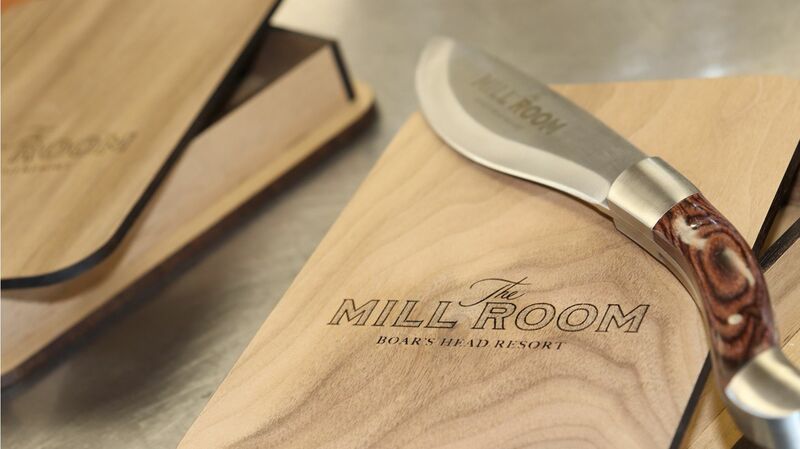 After a multi-million dollar renovation in 2018, the legendary Mill Room Restaurant is back open and will earnestly reestablish itself as the highlight of Boar's Head Resort and go-to destination in Charlottesville, Virginia. Woven into the fabric of a 600-acre resort, this AAA 4-diamond treasure offers an open door and smile upon arrival with service that staunchly surpasses expectations. Likewise, the interiors convey a sense of optimism and warmth that will keep guests returning time after time. Our ingredient-driven menus produce succulent fare in a setting that feels intimate and warm. Always elegant yet never pretentious, The Mill Room is the perfect atmosphere for any occasion, whether a special celebration or "just because." If you are coming from out of town and are looking for an overnight stay package, we recommend that you pair your stay with an elegant dinner at The Mill Room. Chef D’Amelio was introduced to cooking by his mother at an early age, and he was assisting her in the kitchen from age 4. As a teen, he worked in his family’s restaurant, discovering his love for the restaurant industry as a whole. He entered into the culinary and hospitality programs at Johnson and Wales in Miami, honing his skills in the kitchen and in operations. Throughout the completion of his degrees, he worked in a variety of settings throughout Florida. Most recently, Chef D’Amelio operated and was the chef for his own French continental restaurant in Central Florida which was well-reviewed and recognized in top ten lists in various local publications. He also donates his time to local churches for events and teaching opportunities and is a current member of the local ACF chapter. In a unique partnership with Babylon Micro-Farms, The Mill Room is harvesting all of its leafy greens from the historic Trout House. Located directly behind the restaurant, The Trout House is currently the largest hydroponic indoor garden in North America and uses exclusive heritage varieties from the historical seed bank at Thomas Jefferson’s Monticello. This revolutionary indoor garden literally allows us to skip the farm ensuring all of the greens served in the Mill Room come from an ultra-local backyard harvesting location. To aid in the sustainable efforts of the Chesapeake Bay Foundation (CBF) to restore native oysters in the bay, The Mill Room makes a point to donate all of our empty shells to the CBF so we can work together to recycle them into more oyster reefs and repopulate the bay with more oysters. Your shells are literally used as homes for baby oysters! The CBF turns 2,000 bushels of recycled oyster shells each year, and Boar’s Head Resort is proud to be a part of this unique program. There's no better way to experience a night at the Boar's Head than to pair it with an elegant dinner at the Mill Room.